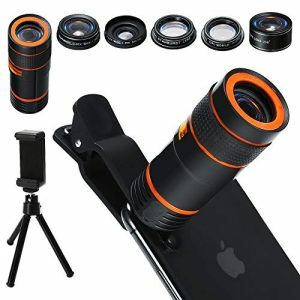 Telephoto lens are popular among people, it is useful in a variety of situation, it closes the distance between you and the object you’re photographing, the best lens for shooting object that is far away or which is small and needs magnification, help you take your photography to the next level. 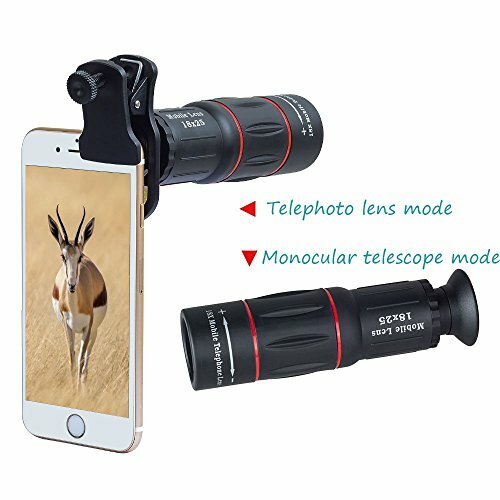 What is the difference between the telephoto lens and phone zoom function. 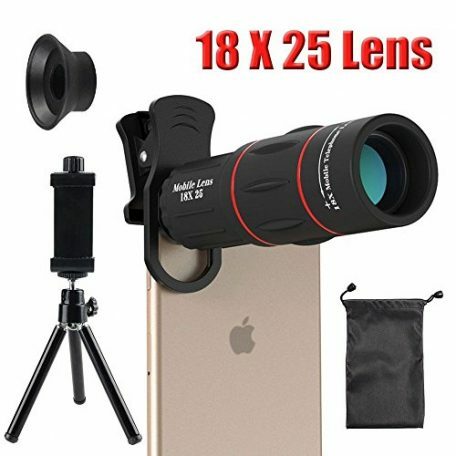 Your phone zoom just enlarges the object, image will lose quality because of the enlargement process, so photos that have been taken with zoom won’t look as good as those without using zoom function. 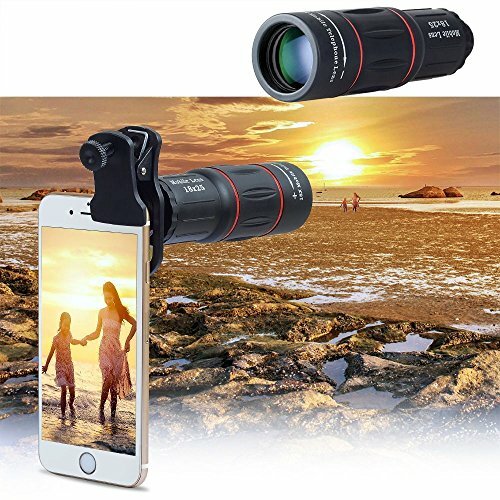 The fixed 18X telephoto lens just bring far away subjects closer, make your phone produces close-ups without lacking sharpness and detail. 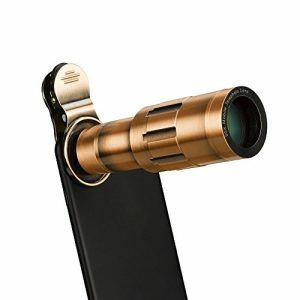 Does the lens work with my phone. 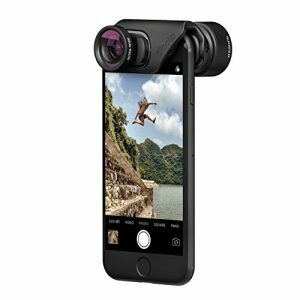 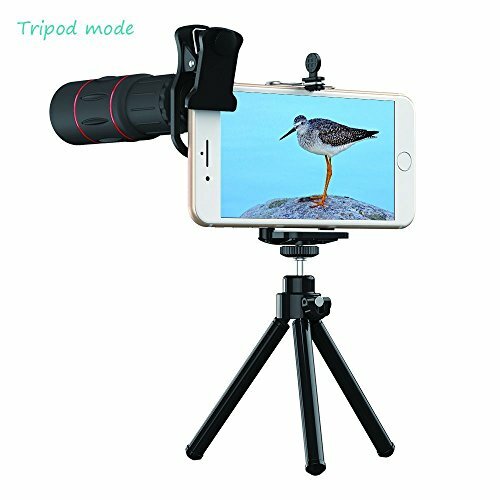 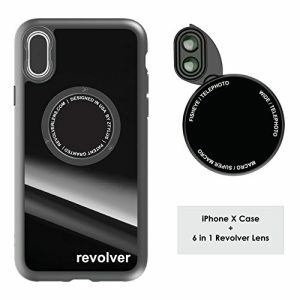 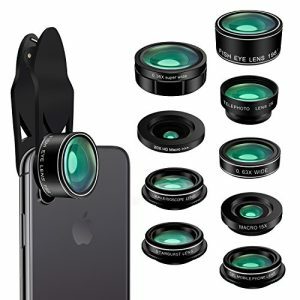 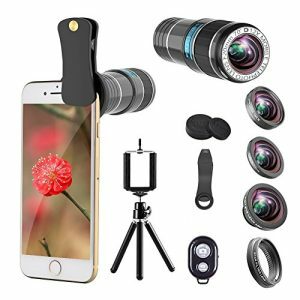 The 18X telephoto lens has universal clip, works for 99% smartphone/Tablet PC, such as iPhone 8 iPhone 7, iPhone 6S, 6S Plus, iPhone 6, 6 Plus, iPhone 5S, SE, Samsung Galaxy S6, S6 Edge, S7, S7 Edge, Note 8, Note5, HTC, Sony, LG G6, G5, Motorola and more. 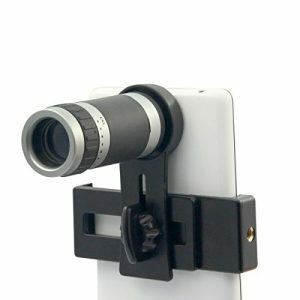 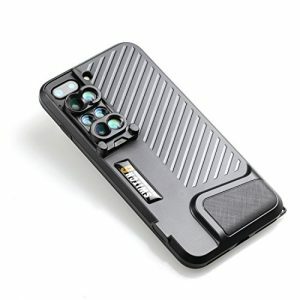 It can also be used in rear and front phone camera. 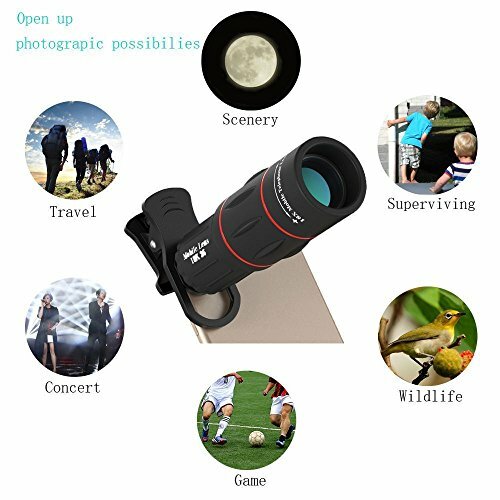 ✔Package includes: 18X telescope camera zoom lens, 2 lens cap, rubber watching cap, cleaning cloth, mini tripod, manual, warranty card. 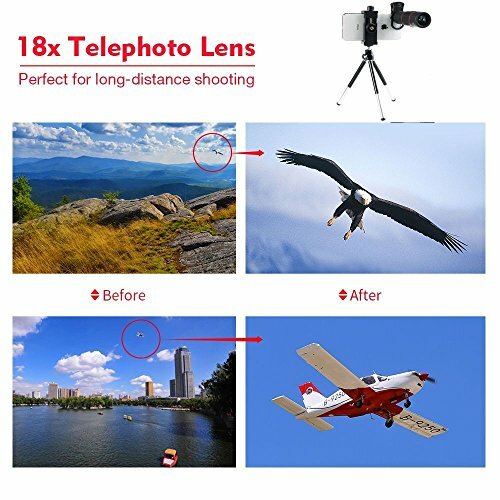 Note：This is a fixed 18X zoom telephoto lens，used for shooting the object beyond 10ft.